I adore the paper "piecing" technique. Such a pretty way to add images and pattern at the same time. 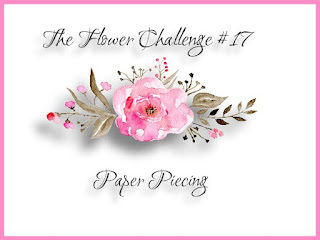 These flowers are perfect for paper piecing and you did such a beautiful job of it! I used to enjoy this technique from time to time. 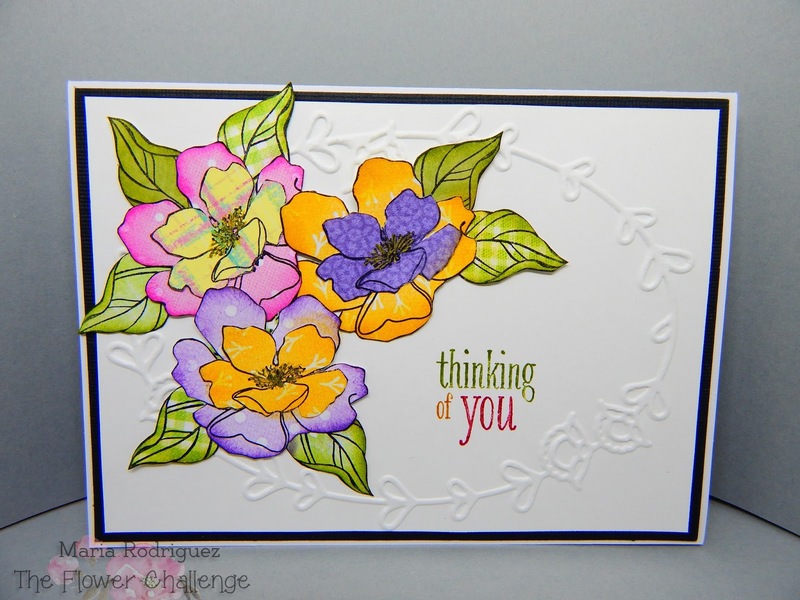 Love the CAS design of your card with the embossed oval frame and multi-colored sentiment. Lovely colors and piecing. Awesome job finishing the insides of your cards! LOVE the bright colors you've used! 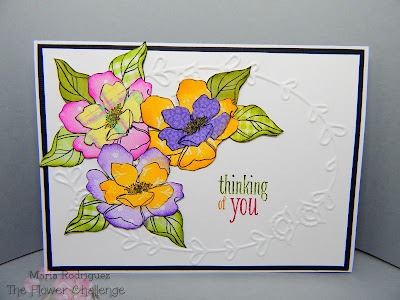 The flowers seem to pop right off the card! Beautiful!